JBA Evol 3” Side Exit Aluminized Steel Exhaust. Get the power and the sound you’re looking for with a new JBA performance exhaust system. JBA's evolution of high flow performance exhaust. Like all JBA products, each system is tuned and precision built for each application so you get a perfect fit and optimized performance every time. 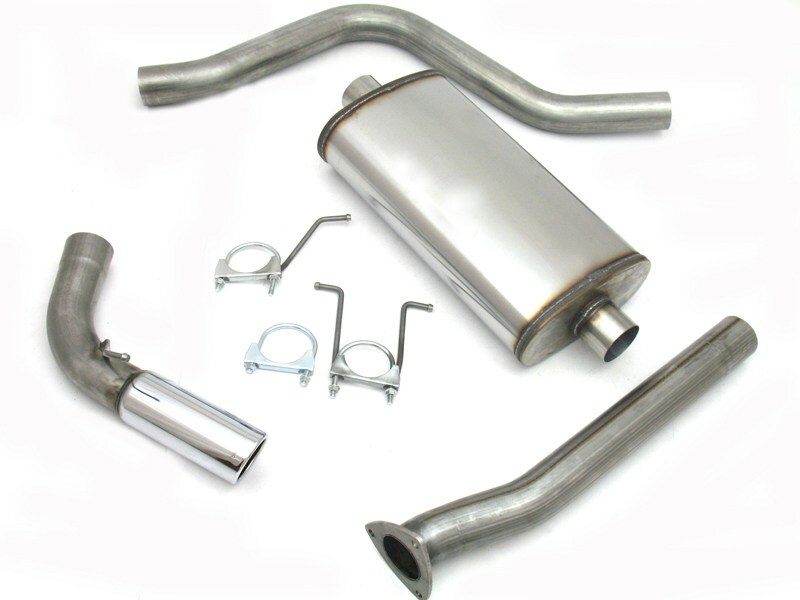 JBA mufflers feature an efficient high flow design and fully welded cases for long lasting performance. Plus each system is tuned to work in conjunction with JBA Headers for even greater performance gains.